If this is your first time building a site, then WordPress and Squarespace are probably two of the most common names you’ve come across. As you’ll soon learn they both offer you an easy site building experience. Each is equipped with their own unique advantages and disadvantages. 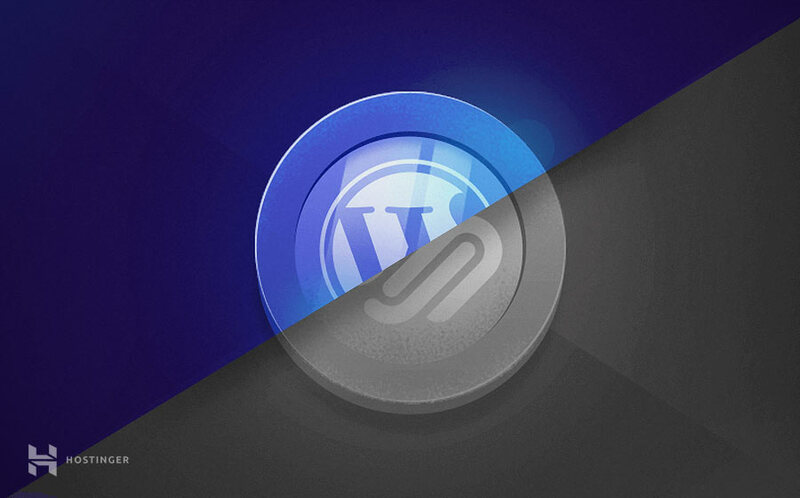 Below we pit Squarespace vs WordPress in a battle to the death. Well, not really. But, you’ll learn the ins and outs of each platform, so you can make the best decision about which tool is best for your new website. Squarespace vs WordPress: How Much Do They Cost? Before we cover everything else it’s important to talk about cost. Chances are this will be one of your biggest decision making factors. Each platform handles pricing differently, as you’ll soon learn below. With WordPress, it may be little more difficult to get an estimation of the exact cost. 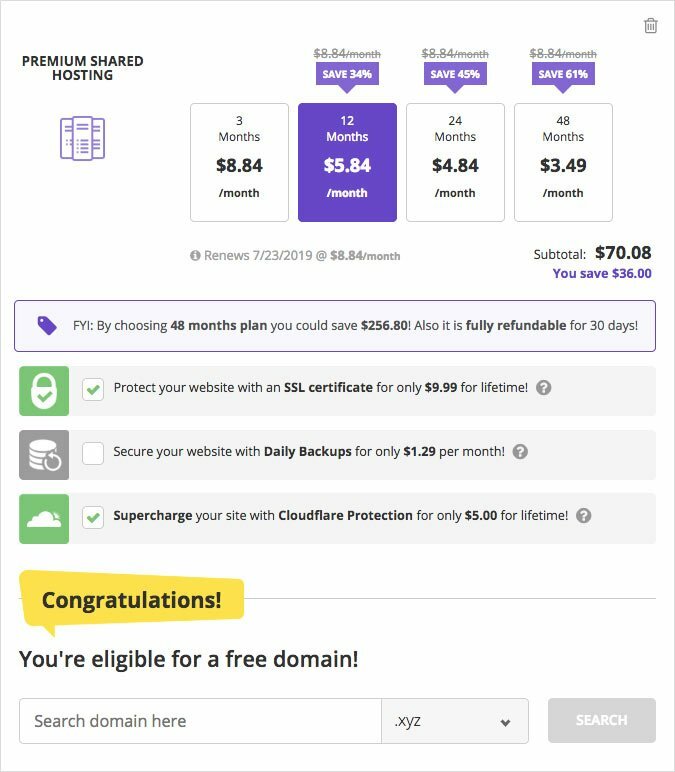 The only things you really have to pay for are your web hosting and domain name. Depending on where you purchase those you can get away with paying as little as $70 for the entire year! For example, our WordPress optimized hosting plans include a free domain name if purchased for 12 months or more. You get all the tools to create a secure, trustworthy, and responsive website with the monthly expenditure being around 6 bucks! However, you may have other spendings depending on the needs of your project. For example, if you choose to upgrade to managed web hosting, then you’ll be paying a higher monthly fee, but getting more power and dedicated resources in return. Plus, you have to factor in the cost of purchasing a premium theme/plugins, if you’re going that route. Though you can find most plugins and WP themes for free. Essentially, with WordPress, the price you pay is up to your discretion. No matter the budget, you’ll be able to craft a solution that works for you. 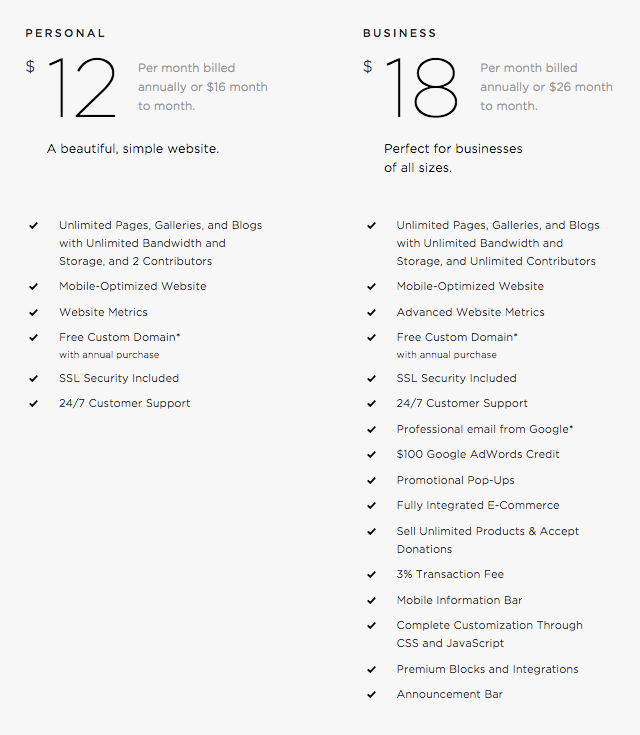 With Squarespace, the pricing is pretty straightforward, though it has its own subtilties. The cheapest plan you can get away with is the Basic plan for $12 per month (if paid annually), or $16 per month paid on a monthly basis. You will run into limitations like the number of pages you can create and higher transaction fees for eCommerce. But, it’s a solid plan to help you build a functional and basic website. The Business plan will run you $18 per month (if paid annually), or $26 per month if paid on a month to month basis. If you’re interested in building out an eCommerce site, then you’ll have different pricing options to consider. The first is the Basic plan which will cost you $26 per month when paid yearly or $30 for a month to month pricing. With this plan, you’ll have access to eCommerce features like unlimited products, no transaction fees, integrated Xero accounting, and more. Overall, WordPress seems like a clear-cut winner for this one. While Squarespace has pretty straightforward costs, you also have to consider that to add more than 20 pages or build out an eCommerce site, you’ll end up paying a much higher monthly fee. With WordPress how much you pay is up to you. Beyond your hosting and domain name, you can get away with building a site entirely for free. If you’re on a budget, then WordPress should be your platform of choice. Especially, with the plethora of affordable web hosting options available. Squarespace vs WordPress: How Easy Are They to Use? If you’re just getting started online then you’re probably not familiar with HTML or CSS. Even looking at code might make you feel like you’re learning a foreign language. And instead of spending time learning to program, you want your website up as fast as possible. The last thing you want is a platform that creates more headaches than it solves. Below we look at how Squarespace and WordPress stack up. WordPress is an incredibly versatile platform. It can be used by total beginners, all the way up to advanced web developers. It’s commonly used by beginner bloggers, but brands like TechCrunch, The New Yorker, and even BBC America use WordPress to run their sites. When you get started using WordPress your first hurdle is purchasing a domain name and hosting. Then, you’ll need to install WordPress. Although that might sound complicated, most hosts (including us) will let you install WordPress with a single click. Even though those initial steps might seem technical, they’re easier than you think. The initial setup process is something you’ll be able to complete in about 5-10 minutes. Once you have WordPress installed, then the fun really begins. You’ll choose a theme, start customizing, add content, and you’re ready to rock. The only real challenge is in the theme setup. Some themes may be more difficult to use than others. However, most themes are also equipped with extensive documentation that’ll walk you through the process of building out your site. WordPress does have a steeper learning curve. But, once you grasp the basics, you’ll be amazed at the things you can do. It’s like riding a bike. At first, you’ll be a little wobbly, but in time you’ll be cruising down hills at 60 mph. Squarespace makes it relatively easy to build a website. They cater to complete beginners who want a good looking site online as fast as possible. With Squarespace, you don’t even need to purchase hosting or a domain name. All you have to do is select a theme, and within minutes you’re already building your website. The platform is quite intuitive too. Just answer a few questions about the goals of your site, pick a theme, and then it’s time to start customizing. It’s not equipped with a ton of choices. But, this simplicity can actually be your ally, as you won’t get lost in a ton of different options. In fact, it’s quite similar to the ease-of-use that our website builder provides. Plus, the whole system relies upon a visual editor. So, you can just drag and drop your way to completing your site. More on their customization options below. In this category, Squarespace does eek out ahead, but not by much. Getting started with Squarespace is indeed simpler, you just create an account and start building. With WordPress, there are more initial steps before you can start building your site. Plus, the actual building process will be more intensive, since, in most cases, you won’t be using a drag-and-drop builder. But, we still have to think about the overall ease of use, compared to what you can do with each tool. With WordPress, your customization options are unlimited (which we’ll get into next), while with Squarespace you’ll eventually run into the platform’s limitations. Chances are you’ll want to do more than create a super-basic three-page website. Both WordPress and Squarespace handle customizing your site differently. Below we take an in-depth look at how each platform lets you customize, expand, and add features to your site. To start, WordPress is an open source platform. Since their code is open to anyone to customize and use it’s birthed an entire universe of themes and plugins. Due to its unparalleled flexibility WordPress powers around 30% of the internet. The basics of your site will be handled with your theme, but additional features can be added with plugins. Because the WordPress plugin marketplace is so huge you’ll be able to find a plugin that can add nearly any feature to your site. Also, if you absolutely want to build out your site with a drag-and-drop editor there are a variety of plugins you can use to do that like Beaver Builder and Elementor. However, since you can literally do anything with WordPress there is a steeper learning curve involved. You not only have to learn how to use your theme, but also have to configure every plugin you install, and ensure that no plugin conflicts arise. Squarespace makes it easier to build out your site fast, but depending on your goals, you’ll run into the customization limits pretty quickly. There’s actually a decent amount you can do. But, your real limitations come when you’re trying to add more features to your site, as you’re limited by the Squarespace plugin ecosystem. WordPress runs away with this category. With its seemingly endless array of plugins and themes, you can build your site however you see fit. This is especially true when you bring in the amount of control that WordPress gives you. With Squarespace, you’re limited by whatever the platform provides you with. There is an ever-expanding theme and plugin selection, but it pales in comparison to what WordPress can offer. Since Squarespace is a closed platform they can only expand as their team builds out more features. WordPress with its open source nature makes it so anyone can build themes or plugins, giving you a nearly endless supply to choose from. When you’re first building your site it can be easy to get caught up with the design. Choosing the right theme. Tweaking little things. Customizing your page layouts. And on and on. Below we take a look at how each tool tackles designing your site. Like you learned above the design of your WordPress site is controlled by the theme you choose. Your biggest hurdle is probably deciding on which theme. Currently, there are thousands of free and paid WordPress themes to choose from. Plus, dozens of different marketplaces to actually buy from. No matter your industry, niche, or type of site you’re building you’ll find hundreds of potential themes that can fit the bill. And if you’re on a budget, then you always have the vast selection of free WordPress themes to choose from. Once you’ve decided on your theme the real fun begins. Not only will you have design and customization options based upon your theme choice, but you’ll also be able to add more features with the nearly endless supply of plugins. There are thousands of paid and free plugins you can install on your site to add whatever features your site is lacking. From email integration to SEO optimization, to simple social sharing plugins. However, try not to get too crazy with plugins. Although it can be pretty tempting, it’s always a good idea to take a minimalist approach to plugin installation. Plugins can be useful, but at a certain point too many plugins will slow down your site, and create more security vulnerabilities. With Squarespace designing your site is easy. But, depending on your goals, this simplicity can end up being a pretty huge drawback. Once you select the type of site you’d like to build you’ll be presented with a selection of themes. You choose one and start customizing. But, depending on the type of site you’re trying to build, you may notice the lack of theme choices (especially when compared to WordPress). Then, you only have the ability to change certain aspects of your theme. The same goes for any additional features you want to add to your site. You’re limited by the existing Squarespace ecosystem. They keep the design options small on purpose—to cater to complete beginners. But, if you demand more, then you might find the template choices and customization options lacking. In regards to design options, WordPress pulls full stream ahead. With WordPress, you have ultimate freedom when it comes to design and site customization. It might take a little more work to get your site how you want it, but with the extensive number of tutorials and dedicated support, it’s easy to overcome any issues. If you use Squarespace you will end up with a good looking and functional website. But, you will be limited when it comes to how much you can customize your site. At the end of the day, there’s a good chance you’ll come across another Squarespace site that looks almost identical to yours. Squarespace vs WordPress: What About eCommerce Capabilities? While you might not be building out an eCommerce site from the beginning, selling products is something you’ll want to think about. Both platforms handle eCommerce in different ways. If your goal is to build out a full-fledged eCommerce store or sell a few products here and there, then this section is for you. With WordPress, you won’t be able to sell products right out of the gate. You’ll need the help of a third-party plugin to turn your site into an eCommerce store. Two of the main plugins that’ll turn your WordPress site into an eCommerce store are WooCommerce and Easy Digital Downloads. There are things you can do like integrate a PayPal button. But, using one of the two plugins above is the best route to take. Using WooCommerce will let you build out a full eCommerce store, while Easy Digital Downloads will let you sell and deliver digital products to your visitors with ease. But, beyond the plugins above you can also easily integrate other payment processors into your site like Google Checkout, Stripe, 2Checkout, and a lot more. Finally, with WordPress, you’ll never be limited by the number of products you want to sell on your site. Or, what you want your eCommerce store to look like. Squarespace does allow you to sell products or build out an eCommerce platform, but there are some drawbacks. First, you’re limited by the number of payment processors. You can only use Stripe, PayPal, or Apple Pay. If you’re solely doing eCommerce, then Stripe is probably the only one you’ll want to use. The other thing you’ll want to think about is processing fees. Unless you upgrade to a dedicated eCommerce plan you’ll be charged a 2-3% transaction fee, on top of any existing credit card processing fees. If you want to avoid transaction fees, then you’re looking at a monthly rate of at least $30 per month. Depending on the plan you choose you’re also limited by the number of products you can sell. On both the Personal and Professional plans you’ll run into the product limit pretty quickly. 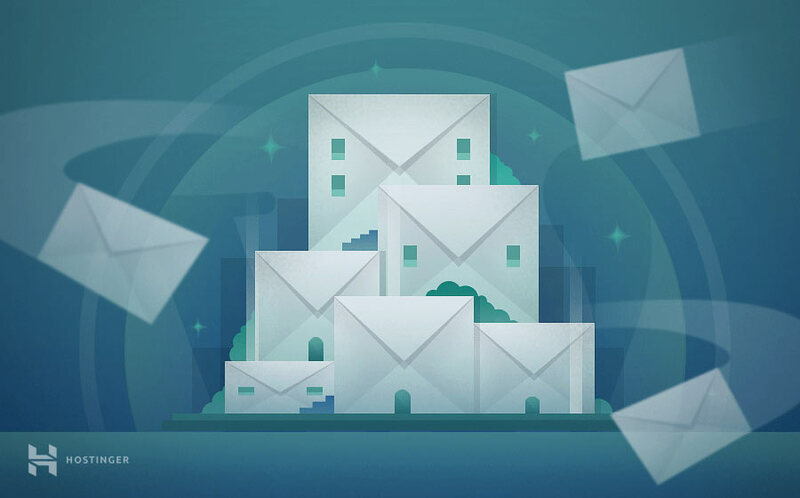 Overall, there are some good looking themes to choose from, and it’s equipped with built-in email integration, right out of the box. But, the disadvantages above might sway people from using Squarespace to build a serious eCommerce site. The platform you choose to build out your eCommerce store depends on your overall needs. Squarespace is a popular choice because of how easy it is to set up. But, you’ll also have to consider the lack of selling features, along with the regular monthly payments. WordPress will offer you a lot more freedom, and you can completely customize your store as you see fit. Plus, you have a nearly endless selection of payment processors and can sell an unlimited number of products. For most store owners, WordPress will be a better choice, even with the slightly longer setup process and steeper learning curve. Squarespace vs WordPress: How About Customer Support? Customer support is something you won’t think about until you absolutely need it. No matter your development skills it’s always nice to have a strong support team you can lean on when technical issues arise. Both platforms offer you world-class support, but the approaches to accessing support differ, as you’ll see below. WordPress has a massive support community. 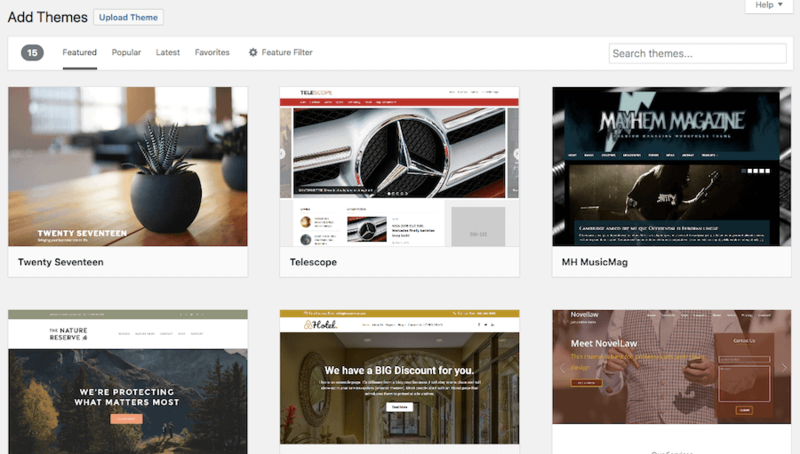 You’ll find an endless array of tutorials, forums, and specific solutions geared towards your theme and plugin choice. There is no dedicated support hub. Instead, you’ll find a variety of solutions via dedicated websites or even a simple Google search. You can even find a ton of WordPress tutorials right here at Hostinger. There is a downside to the seemingly endless supply of support information in that it can be difficult to sort through the noise and find exactly what you’re looking for. The answers probably already exist somewhere online, but you have to go through the effort of finding them. Squarespace has a dedicated support team. Since it’s a closed platform it’s much easier to manage and is dedicated entirely to their website builder. You’ll have access to several of support options including, live chat, email support, and a community forum, along with workshop videos and a library of guides. Overall, since Squarespace is a closed platform and the team tests its own tools, you’ll generally run into fewer issues and any issues you may have will be resolved quickly. Overall, Squarespace has an easier to use and more integrated support solution. Plus, the likelihood that you’ll run into issues is much lower, since you’ll be dealing with a closed system. WordPress, on the other hand, has a wealth of support materials, but you’ll typically have different support avenues depending on what you need help with. For example, your plugin support will be different than your theme support. Squarespace vs WordPress: Who Owns Your Data? When you use an online tool to build out your site, you have to think about ownership. You might readily assume that you own your entire site, you built it after all. However, that’s not always the case. In this case, ownership answers the question: how easy is it for you to move your existing site and content to a new platform? Below you’ll see how both Squarespace and WordPress handle this issue. With WordPress, you own 100% of everything you create. You have complete control and ownership over all your site’s files, content, and data. Plus, there are a number of export tools that let you easily export your site and move to another platform. If you ever had that desire. Since WordPress is open source, and you install it on your own host, you’re the only person who ever has access and control over your data. As you can see there’s a lot that you can’t “take with you”, especially if you’re running an eCommerce site. Plus, you can’t download your entire site and it’s existing design because you never have complete ownership over it. Data ownership probably isn’t something you’ll think about when building out your first website. But, as your site grows, and you invest more and more time into it, wouldn’t you want to have sole ownership over all that data? WordPress comes out ahead in this regard. Sure, Squarespace might be easier to initially set up your site. But, you’ll be sacrificing complete ownership and control over your site and it’s future. Migrating from Squarespace to WordPress isn’t difficult. You won’t be able to completely transfer your existing Squarespace site, but you’ll be able to move enough to give you a head start. Below you’ll learn the general process of migrating from Squarespace to WordPress. First, you’ll need to export your existing Squarespace content. As you learned above you won’t be able to export your entire site, but there are certain elements you can bring with. To start the export process navigate to your Squarespace dashboard and select Settings › Advanced › Import/Export. Then, click the ‘Export‘ button. Now, with the core of your site downloaded we’re going to upload your data to your new WordPress site. If you don’t already have your new site setup and WordPress installed, then you’ll want to do so now. With WordPress installed login to your dashboard, and navigate to Tools › Import. On the next page, you’ll upload your .xml file that contains your old site’s content. Once the upload is complete you’ll want to do a site run through to double-check that most of your existing content made it over. For the pages that weren’t able to migrate, you’ll need to copy and paste the text over to your new site. Finally, you’ll want to redirect your Squarespace URL to your new WordPress site URL. To do this you’ll be using the URL mapping feature from within your Squarespace dashboard. If you want a more detailed look at the migration process, then check out this guide. While Squarespace has flexible plans, WordPress is relatively cheaper to maintain and setup. The community of WordPress is multiple times larger than that of Squarespace. As result, finding WordPress guides, support, and extra functionalities is much more simple. WordPress is an open source platform that gives you more control over your content. In comparison, Squarespace has certain architectural limitations. Creating an eCommerce store is easier on WordPress, as free plugins like WooCommere let you set everything up without spending an extra dime. 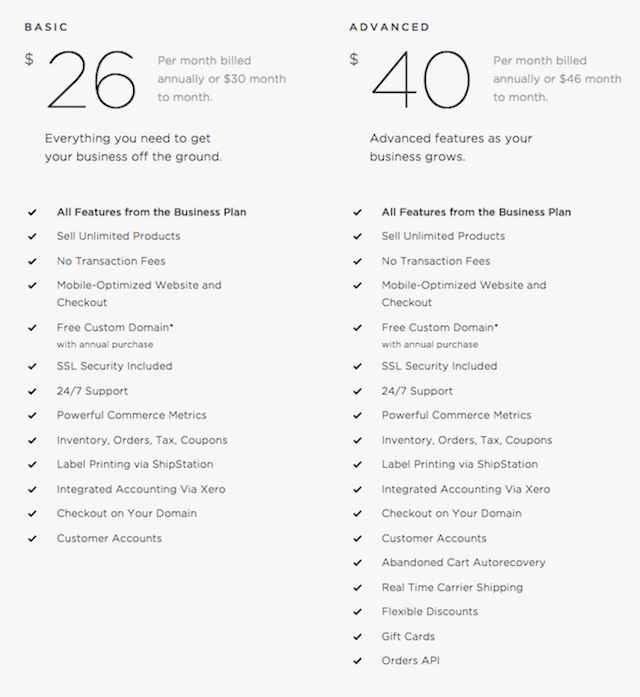 Setting up an online store in Squarespace will require you to switch to a more expensive plan. While Squarespace provides website builder type features out of the box, you can implement them on WordPress with free plugins. WordPress is used by a large portion of the websites due to its simplicity, high variety of features, and easy SEO optimization. Squarespace vs WordPress: Who Wins the Battle? Squarespace and WordPress are both well-known platforms for a reason. They both make getting a website online incredibly easy. 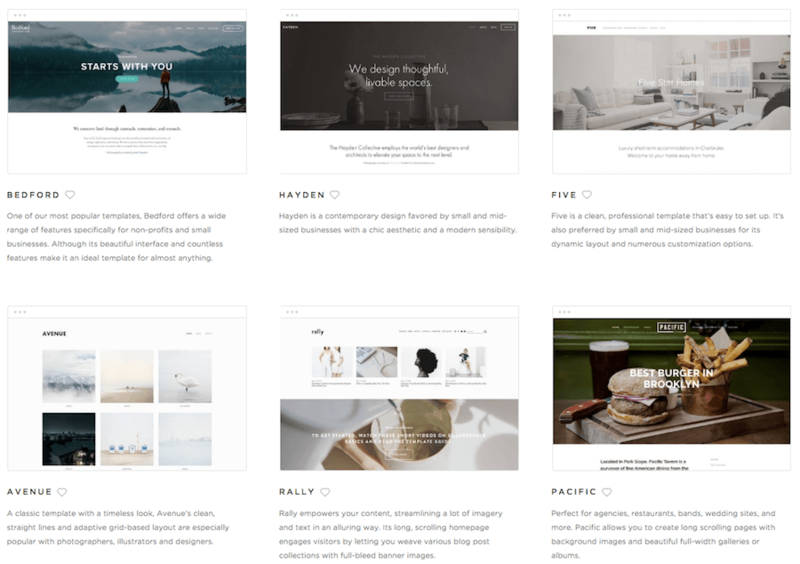 If you just want to create a basic website that looks good but don’t really care about the ownership of your content or endless flexibility, then Squarespace can be a solid choice. But, keep in mind that as your site grows, you may need to move away from Squarespace and switch over to WordPress. As you can see above, it’s not an impossible task, but you will have to spend time building a new site and migrating over all your existing content. However, most website users will be best suited for WordPress. When you first get started you’ll experience a higher learning curve, but once you get over this hurdle you’ll be amazed at what you can accomplish. With WordPress, you’re getting a near endless ability to customize your site, improved performance, security, and control over your existing content and the future of your website. Don’t get me wrong, Squarespace makes it easy to build a beautiful website. But, if you’re serious about building out your site and have big goals, then WordPress is the platform you’ll want to use. Now over to you. Which platform do you prefer? WordPress for the control and customization? Or Squarespace for its ultimate ease of use? Kevin is a freelance writer who specializes in technology and online content marketing. He loves making complex marketing and technology topics accessible to all readers. When he’s not glued to his screen, you can find him lost in a book, writing poetry, or running through the woods.